Every Saturday afternoon, on the way home from my daughter’s dancing classes, we stop at our local shop and pick up ‘Saturday sweets’ for the kids and the Guardian for me and the old man. Without fail, the first page I turn to is Dan Lepard’s recipe page. I don’t often find the time to try out the recipes, but I have a big pile of them in a folder awaiting my attention. However I did try one out not long ago, and I can highly recommend it to anyone who likes chocolate cake. 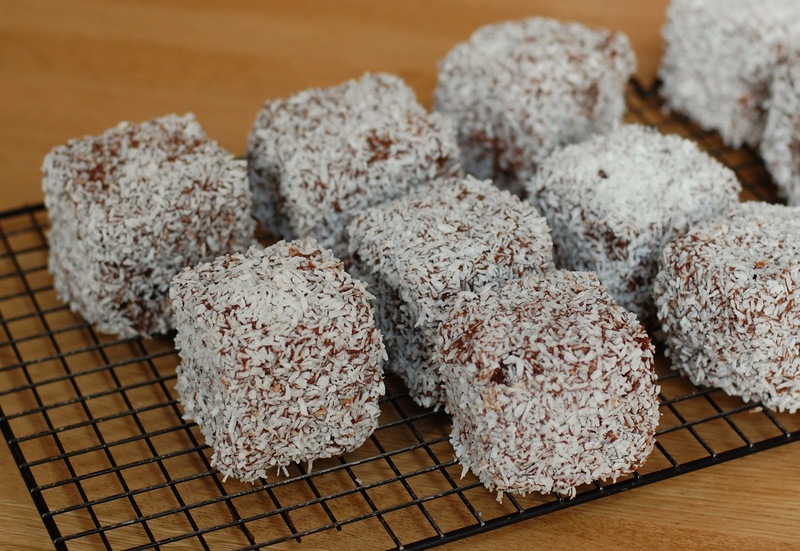 Mr Lepard’s double chocolate lamingtons are a delight. The recipe is easy to follow and though I did manage to cover most of my kitchen worktop (and much of myself) in chocolate sauce and coconut, I would happily do it again. The chocolate cake has a lovely flavour and is very moist. 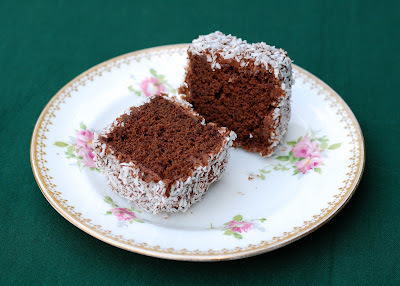 Chocolate and coconut are a favourite combination for me, so this is a real winner. My only comment would be that my lamingtons were plenty big enough, but I cut them smaller than the recipe stated. The recipe can be found on the Guardian website. these look fab Lucy – very scoffable! I love Dan Lepard's recipes too – that's one baking book I may have to put on my xmas list as I still haven't got it!